Nike’s Zoom Fly family has always boasted speedy, futuristic designs and exemplary performance. From the see-through TPE upper on the Zoom Fly SP to the record-setting technology in the Zoom Vaporfly 4%, the line represents the futuristic pinnacle of light-weight running footwear. 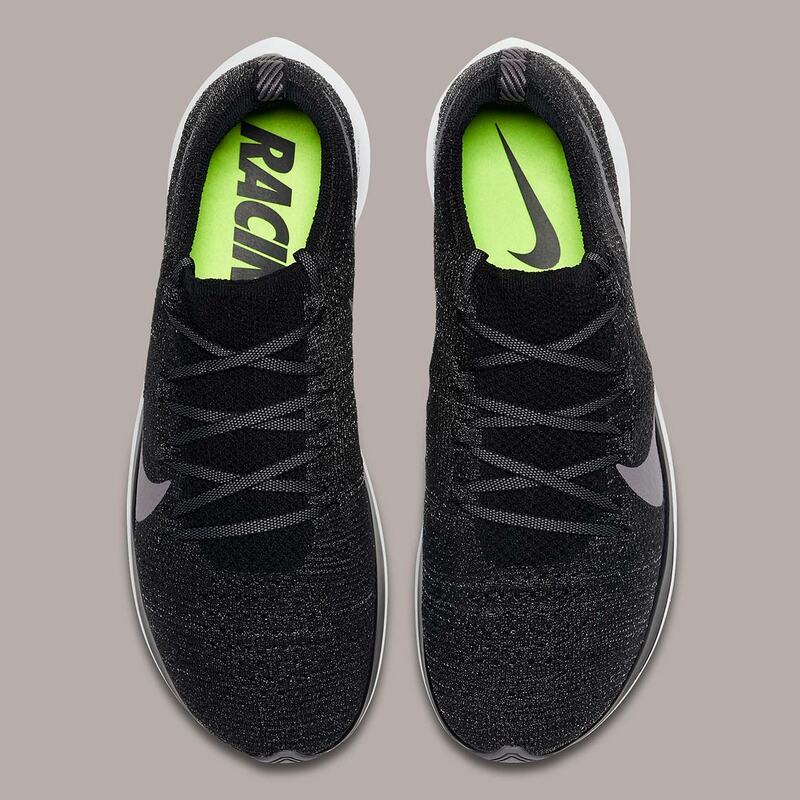 Now, its ranks are gaining another member: the Zoom Fly Flyknit, a design that draws upon the already-established Zoom Fly aesthetic but adds a lightweight and flexible Flyknit upper. 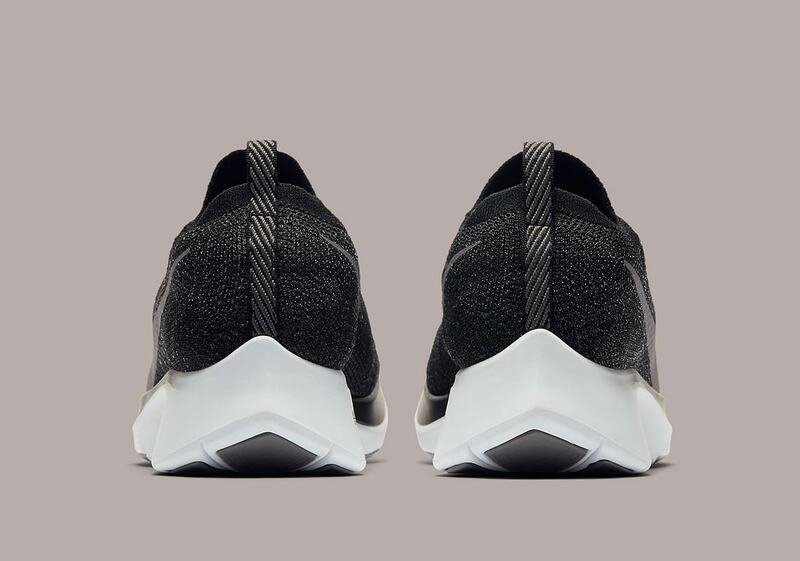 The first men’s colorway to be unveiled — a “Gunsmoke Grey” — uses a classic black as the base for the one-piece Flyknit upper, while branding arrives via a giant grey lateral side Swoosh that starts at the bottom of the shoe’s throat and reaches all the way back to the heel. The medial side features a much smaller Swoosh towards the rear of the midfoot, and the well-known two-tone midsole returns as well, with the upper half adorned in black while the lower half features a crisp white. 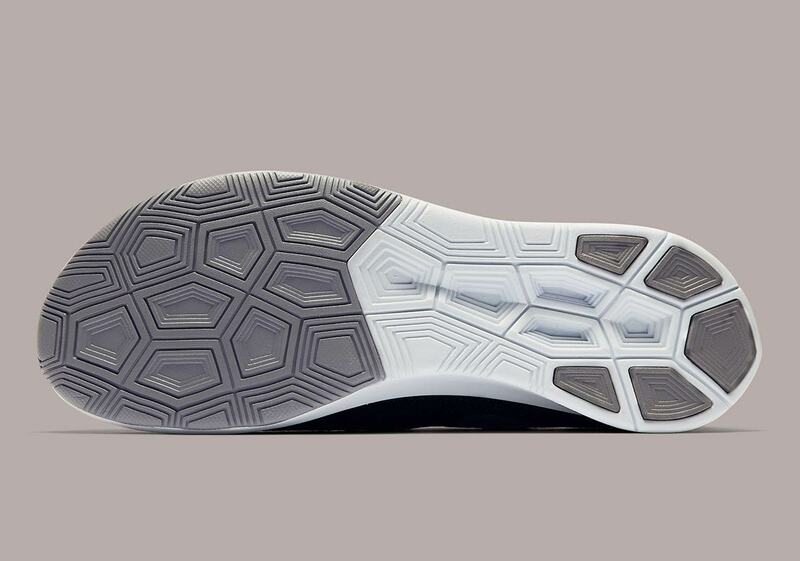 For a finishing touch, the flexible outsole is done up in a two-tone white and grey. Enjoy a first look at this new silhouette below, and check out our Where To Buy list to see what retailers will have stock when these new runners drop October 1st. 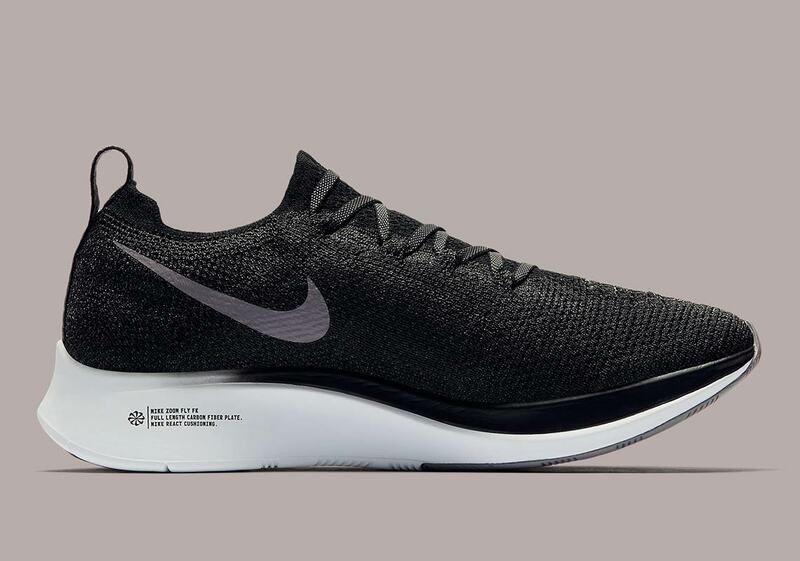 The post The Nike Zoom Fly Flyknit Is Arriving In Black And Gunsmoke Grey appeared first on Sneaker News.